To inquire about advertising your Vancouver travel business with Vancouver Travel Tips.com, just use the form provided below to contact us. 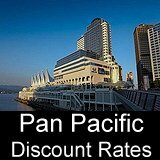 Vancouver Travel Tips.com is an information site only. We do not make any type of bookings or reservations for hotels, tours, events or transport. Also, we do not quote prices or schedules for travel, or send out information or brochures. Need more Airport, Skytrain, Bus, Ferry and Taxi info for Vancouver? Because of the volume of mail we receive, we are unable to respond to these types of inquiries. If you require additional info, please see yvr.ca for additional airport information, bcferries.bc.ca for ferry schedules and prices, and translink.bc.ca for Vancouver Skytrain & bus schedules and prices. A complete guide to travel and vacations in Vancouver, BC Canada. 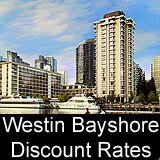 Insider tips on hotels, restaurants and attractions, as well as trips to Whistler and ferries to Victoria, BC. These graphics are stored on our servers and will display on your site. So there's no need to download anything - just copy and paste the HTML code directly into your website page!